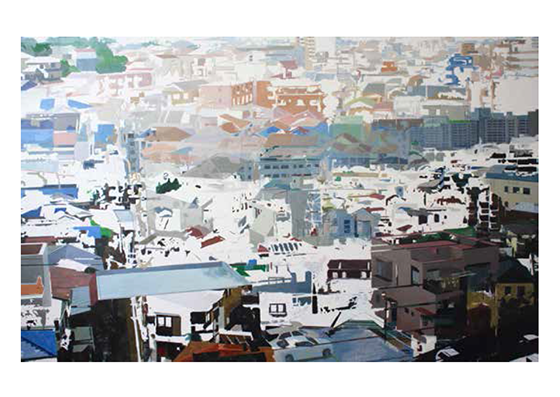 "In Praise of Shadows," an exhibit of original paintings and drawings by artist Ben Schwab reflects the never-ending cycle of movement, especially in large, urban environments, where populations, landscapes and economic conditions are constantly evolving. On Friday, October 7, from 4 to 6 p.m., there will be an opening reception for the exhibit, which will be on display at the Wilson Art Gallery from October 7 - November 4 during regular library hours. The reception and exhibit are free and open to the public. For more information, call (315) 445-4153. Ben Schwab’s work has been featured in numerous gallery and university exhibitions throughout the United States, including: George Billis Gallery (New York and Los Angeles); Delaware Art Museum (Wilmington); Gross McCleaf Gallery (Philadelphia); Bowery Gallery (New York); and several exhibitions in New York, California, Vermont, Virginia, Florida, Indiana, Illinois, Michigan, Ohio and Missouri.